New water block options for the fastest graphics cards on the market. 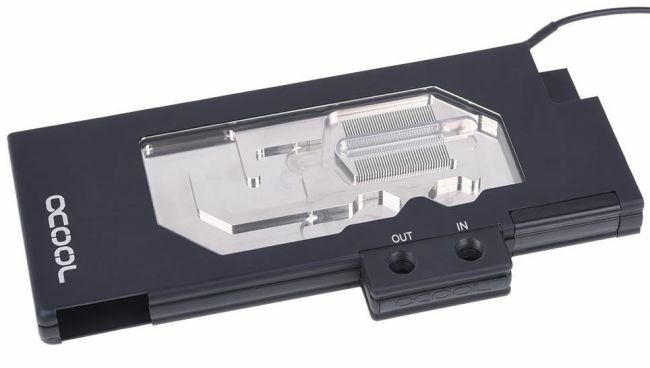 For those of you who scoff at air cooling, Alphacool has your back with a pair of new full-coverage water blocks for graphics cards. 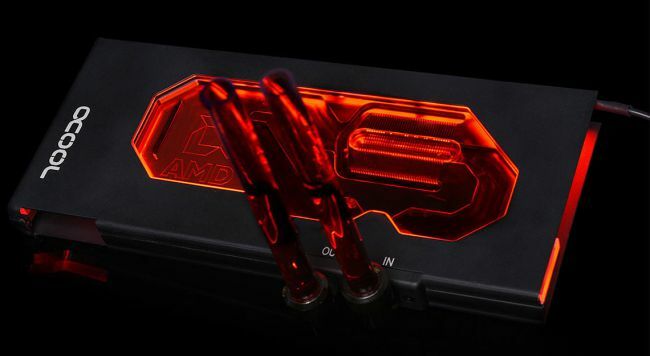 Specifically, the company's new Eisblock GPX water blocks are designed for the fastest consumer cards from AMD and Nvidia, including the former's Vega products and the latter's GeForce GTX 1080 Ti and Titan X cards. We're not sure what exactly (if anything) would prevent the new water blocks from working with lower end cards—for example if you wanted to use one with a GeForce GTX 1070 Ti. However, only the aforementioned top models are listed as being compatible. To that end, the compatibility list for each version is rather long—the Nvidia version supports nearly two dozen GeForce GTX 1080 Ti and Titan X models from the likes of Asus, EVGA, MSI, PNY, Zotac, and others, while the AMD version supports 35 Radeon RX Vega 64/56 models, also from a variety of manufacturers. Buyers can choose between a plexiglass finish with a large window and RGB lighting, or an Acetal finish that hides the interior bits. Either way, Alphacool says performance is the same. "The Acetal version of the Alphacool Eisblock GPX cooler is technically in no way inferior to the plexi version. The internal part of the cooler is identical to the plexi variant and therefore offers the same performance. The terminal is also interchangeable here, which can significantly simplify the planning of the water cooling system," Alphacool explains. For those who opt for the RGB version, Alphacool says the lighting is compatible with Asus' Auro Sync, Biostar's Vivid LED DJ, Gigabyte's RGB Fusion, and MSI's Mystic syncing software. In some cases, an adapter might be needed when plugging the cooler into the motherboard. The new coolers are available now direct from Alphacool, priced at €119.95 (~$141) for the Acetel version and €149.95 (~$176) for the plexiglass model.